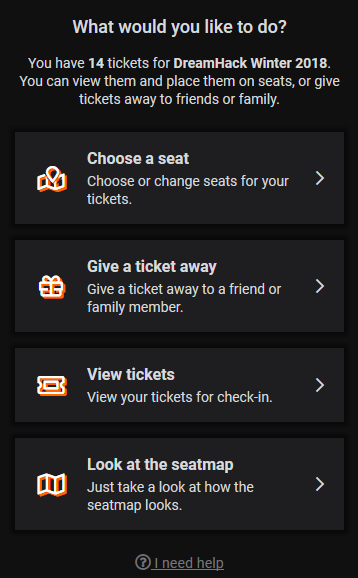 When you have connected your tickets to your DreamHack Account, you will be presented with some options. 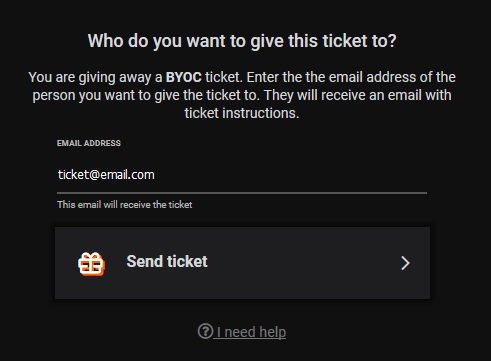 One being to "Give a ticket away"
Give a ticket away: If you choose to give a ticket away it means that you give the ticket to someone else who in their turn can connect it to his or her DreamHack account. Make sure you enter the right email address or else the person you are gifting it to won't receive it. To give a ticket away, simply press "Give a ticket away"
Press send ticket. Now you can't do anything more with the tickets.